Sudden Infant Death Syndrome or SIDS is the term used for sudden unexplained death of children usually in their sleep. It is also called “cot death” or “crib death.” Renowned Medical Website The Mayo Clinic says up to now the cause of SIDS have yet to be known. “Although the cause is unknown, it appears that SIDS may be associated with abnormalities in the portion of an infant’s brain that controls breathing and arousal from sleep. Researchers have discovered some factors that may put babies at extra risk,” according to this article from The Mayo Clinic’s official website. Babies under one year of age are the ones who usually succumb to SIDS, and the incidents happen usually between midnight and nine in the morning. Experts point out to things that may have suffocated the baby in his crib, or probably an inherent medical condition that has not been diagnosed but affected him in some way. The Center for Disease Control and Prevention identified SIDS as the primary cause of Sudden Unexplained Infant Deaths in the United States. Sudden Infant Death Syndrome statistics says that yearly about 3,500 american children die because of SUID. And in the year 2014, 1,500 or close to half of this number are said to be due to SIDS. The CDC also published in its website US statistics on the occurrence of SIDS in relation to race and ethnicity. The data which captured that of the year 2010 showed that American Indians and Alaskan Natives have the highest incidence of SIDS. Asians and Pacific Islanders meantime registered the lowest number of fatalities. Find more Sudden Infant Death Syndrome Facts from the CDC website here. WikiPedia also posted releavant information an statistics on SIDS. “SIDS was the third leading cause of death in children less than one year old in the United States in 2011. It is the most common cause of death between one month and one year of age. About 90% of cases happen before six months of age, with it being most frequent between two months and four months of age. It is more common in boys than girls.” Read more Sudden Infant Death Syndrome Statistics from WikiPedia here. What are the causes of SIDS? There is yet to be an identified single-cause of SIDS but the Mayo Clinic has endeavored to identify some possible causes of it. The Mayo Clinic however clarified that it is possible that a combination of causes may have been present, and have caused the death of the infant. Physical causes. According to the Mayo Clinic, some of the physical causes of SIDS include brain abnormality on the baby, low birthweight, as well as cough and colds. So when the child is suffering from any of these conditions, it will be best to really watch them closely and observe measures to prevent SIDS whenever they are napping or sleeping. Sleeping Environment. 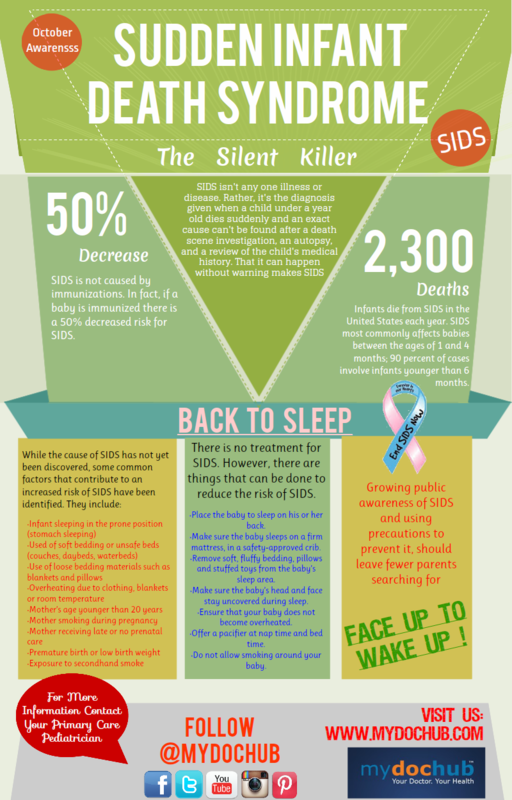 SIDS is also largely caused by how the baby sleeps, and what is around him while napping or sleeping. Side sleeping or sleeping on the stomach for instance can be very risky for babies below one year old. This is because the infant’s airflow may be restricted, or the infant may no longer be able to get back to his back sleeping position which is best for breathing while napping or sleeping. Another sleep environment risk factor is sleeping on soft surfaces like plush comforters, or very soft and thick blankets. These blankets, duvets, sheets and bed covers may restrict the baby’s air passage when the baby’s face burrows into it or gets covered with it. Same goes with crib bumpers and pillows whether baby or adult-sized. Another risk factor based on research is sleeping in the same bed with parents since they could end up getting squished or pushed into a surface where their airflow or breathing may get restricted.What are the risk factors of SIDS? Although SIDS remain largely unexplainable, experts continue to believe that there are certain risk factors, as well as risks that can be associated to SIDS. KidsHealth.Org explained in its website that SIDS may have a pattern. “Most deaths due to SIDS occur between 2 and 4 months of age, and incidence increases during cold weather. African-American infants are twice as likely and Native American infants are about three times more likely to die of SIDS than caucasian infants. More boys than girls fall victim to SIDS.” It said. The infant’s mother’s substance use and abuse during her pregnancy. SIDS in effect could partly be blamed on a mother’s smoking of cigarettes, drinking of alcoholic beverages, and use of prohibited drugs during pregnancy. None to very poor pre-natal health and health care. Foregoing pre-natal visits, taking of pre natal vitamins and undergoing prenatal procedures and tests may present a high risk of SIDS on the baby as soon as he is born. Low birth weight babies, and those who have been born prematurely are more likely to die of SIDS compared to their normal birth weight counterparts. Babies born to very young mothers are also likely to suffer SIDS versus those born to mothers 20 years of age and older. Exposing a newborn to tobacco and cigarette smoke following his delivery also puts the newborn at risk of dying from SIDS. Inappropriate clothes – or excessive clothing that tends to overheat the child, may put the baby at risk of SIDS. Excessive beddings and other crib paraphernalia. These beddings, although very soft, could be a cause of SIDS as babies may get suffocated, unintentionally strangled, or worse, could overheat due to these blankets, beddings, and crib bumpers. The baby is also at risk of dying from SIDS when one of his or her siblings died of it too. This is because it is presumed that they are more likely to inherit and have the same physical structure and issues, as well as parental behavior and practices, and more importantly, sleep environment. Those at risk are usually babies under one year of age, but Sudden Infant Death Syndrome Age, according to health research usually happens to infants below six months of age, and very communly occurs on babies aged two to four months. 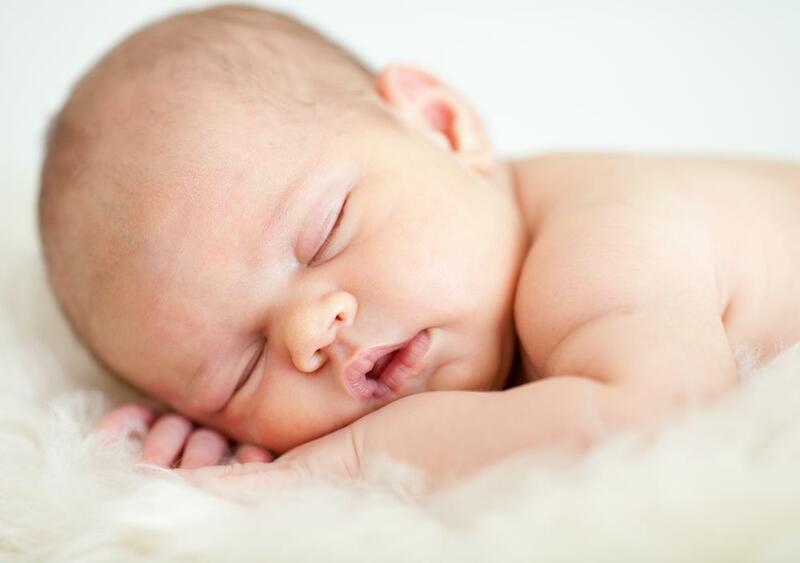 Read here for the National Institute of Health and Child Development’s list of ways to prevent SIDS. So how will a parent know if the child is experiencing Sudden Infant Death Syndrome symptoms? Well unfortunately, there are no symptoms, and it just happens without warning. It is called crib death because without seeing anything that is beyond normal, a parent will just suddenly see his or her child lifeless in her cot. It is actually more of risk factors, than symtpoms that parents and caregivers have to watch out for. If you see your child at a higher risk of succumbing to sids, then it is best to stay close, and be vigilant about undertaking prevention measures to avoid a tragic infant death like such. If there is any consolation in SIDS, it is the fact that its occurrence can be minimized and prevented. The risk, in short can be lowered by doing some precautionary measures that protect the baby. Placing the baby on his back during sleep. Sleeping on one stomach puts an infant at a high risk of dying from SIDS because it is said to block the baby’s airways and interfere with the baby’s breathing patterns. Experts say the best sleeping position for babies one year and below is sleeping on his back. Let the baby sleep on a firm surface. A firm cushion for his crib is the best place to lay the baby on during napping and in sleeping overnight. The couch, a blanket, the sofa, the car seat, the stroller, and other baby carriers are not ideal for sleeping as it may put the baby at risk of SIDS . Get rid of all unnecessary sleeping aids and paraphernalias on the baby’s crib. A baby’s cot should simply have a fim mattress covered by a fitted sheet. Those are the only things needed in a baby’s cot. No toys, no sleeping accessories such as crib bumpers, comforters, blankets, soft comforters and more which may land on his face, and cause suffocation, and eventually SIDS. Remember that pregnancy has a whole lot of impact on the child’s health and well-being. For instance, lack of pre-natal care, failure to take prenatal vitamins, as well as failing to identify fetal problems in utero, and solve it may raise the unborn child’s risk of dying from SIDS a bit higher compared to his counterparts. Substance abuse such as smoking, drug use, and alcoholism also impact the child hence it is important that the mother let go of these vices as soon as she discovers that she is pregnant. Breastfeeding reduces the risk of an infant from falling victim to SIDS. Share your room with your baby, but do not share sleeping space. This is to avoid other problems such as adult blankets and sleep aids landing on the baby’s face, or the baby getting distracted from getting enough sleep. 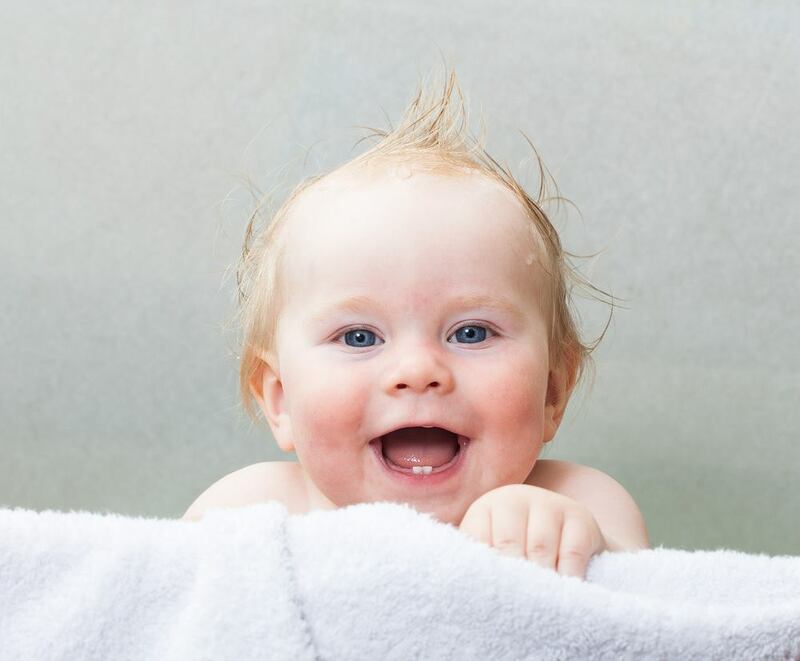 When sharing a room with the baby, the parents get to immediately react on the baby’s movements as soon as he hears them. Dress the infant appropriately. Overheating is also another cause of SIDS according to researches. If the baby overheats because he may have been overdressed, it could be possible that he would also succumb to SIDS. Have the baby immunized. Studies have shown that vaccinated babies have a lower risk of dying from SIDS. Avoid products that claim to reduce the risk of SIDS as more often than not these have not been actually tested and studied to make that claim. These include sleep wedges meant for babies, infant sleep positioners and baby crib bumpers. Beware of blankets. Plush blankets, soft blankets, and thick blankets pose a deadly risk for SIDS on young infants. This is because these blankets may cover the baby’s face making it harder for them to breathe as something as the blanket hinders their air passage. Make sure you use the right swing for your baby. Make time for tummy time. Allow your baby to exercise head and neck control by giving him tummy time. This is done by putting the baby on a flat firm surface minues anything that can suffocate him. Put the baby on his tummy and allow him to carry the wight of his head with his neck. It is very important to closely supervise the baby during tummy time so that the parent can immediately assist if the baby suddently becomes restless, tired or just plain uncomfortable. Be extra careful of plush toys, stuffed animals and the like. Whether during sleeping time, nap time, or play time, these toys unassumingly pose risks because like pillows it may cover your baby’s face or body and restrict breathing. Even light looking toys may harm the child. Put the temperature in the baby’s room in check. When it is too hot, the baby may overheat and contract a higher risk of dying from SIDS. Make sure that the tempreature in the baby’s room remains optimal and cofortable. Sudden Infant Death Syndrome stories abound the internet. The website SIDS-Network.org published links to several stories of families who have been affected by a SIDS death. One such story reads “I will never forget that dreadful night that I found him in bed not breathing. It has ruined my love of life and I feel like this is still a dream. I went over and over in my mind everything we did that day to try to make sense of it all. Was he acting differently? Was my little angel not eating his normal ounces? But there was no difference than any other day. He was his own smiling and beautiful self. I have gone through the what ifs and still go through the what ifs. I have been trying to rationalize this whole terrible situation and I cannot find one good explanation.” Read the continuation here. A story like such prove that SIDS can be likened to a thief in the night. A thief that will steal that bundle of joy without warning, and without any reason. Cot death or SIDS should never be taken lightly. Parents should take steps to prevent it, and check if your baby is at risk, and be vigilant in ensuring that the baby remains away from danger be it during playtime, naptime, or sleeping time. If your child succumbed to SIDS, the Mayo Clinic suggests seeking professional medical help to aid you in overcoming your emotions brought about by the tragic incident in your family. It also suggests that you communicate your feelings and allow yourself the space and time to heal from the devastating loss that you have experienced. Talking to families with similar experiences, whether in real life or online should also help.